As marketers, part of our role is to move prospects through the sales funnel, from awareness to consideration to decision stage, until they are ready to buy. By gathering information on and scoring our leads, we know more about how to market and sell to them. This makes it much more likely that they will go on to purchase, request a consultation or be receptive to a sales call when it comes their way. The better qualified a lead, the more chance we have of closing the deal. An inbound lead, unlike an individual on the receiving end of a cold call, is a prospect who has already shown an interest in your company or product. They have found you online, browsed your website, signed up for a newsletter or downloaded a resource. A qualified inbound lead is someone who is being moved through the buyer's journey and getting ready to purchase. A marketing qualified lead (MQL) is a lead that has qualified themselves to receive specific marketing actions (like emails or calls) to help move them further along the buyer’s journey and turn them into a sales qualified lead (SQL). A lead becomes an SQL when marketing hands it over to the sales team, who then research and vet them for suitability as well. Their role is then to take them through the sales funnel, which then ends with either a closed deal or a ‘keep in touch’. In longer online sales cycles, it’s especially important to make this distinction. Marketing and sales teams need to decide together how they’ll identify which category a lead belongs to and put marketing workflows and sales processes in place. Lead scoring is a way of evaluating your prospects depending on their engagement levels and their fit in terms of your buyer personas, or ideal target customers. It’s an integral part of determining whether a lead is sales ready. As strangers to your brand move through the buyer’s journey, there are a few key indicators that will help you score your leads. You’ll want to do some extra digging to find out as much as you can about the company and individual your sales team is going to be contacting. Checking out their online presence is a good place to start. Social media platforms provide some context about who your contact is and what’s going on with the company. Placing the emphasis on their company Twitter handle rather than their personal account is recommended, because it’s likely they’re not the key decision maker. A read of their company blog or press release section will give you some insight into their news, target audience and important topics. Track the themes that come up in their social media and on their website, and you’ll have a good initial overview about what matters to them as a company. your sales team should get on the phone sooner rather than later, to start building the relationship. Making the call immediately after a prospect has, for example, submitted their details for a consultation, will make a great impression on the potential customer. It makes your company look efficient and responsive. The value of inbound leads drops significantly with each passing minute, so close communication between marketing and sales, and a quick turnaround, is critical. The key is to strike while the iron is hot by not waiting too long before making the first call, but at the same time, doing enough research about the individual or company to make the call meaningful. While your client-facing colleagues will want to get prospects on the phone as soon as possible, it’s not a good idea to call until there’s a compelling reason to do so. People are basically immune to traditional sales pitches these days. The marketing software and CRM tools you use provide valuable information into their engagement levels and previous behaviour and give an indication as to what to talk to them about and when to make the call. Knowing what content has resonated with your lead, as well as the pages they visited on your site, makes for a really personal and relevant follow-up conversation. This way, your sales and client services teams will be able to ask intelligent questions and demonstrate that they genuinely understand the needs of your prospects. The most important goal of any call is to be of value, have a clarifying conversion and answer any questions they may have. This will open the door for an opportunity to sell a product or service that suits them. Remember to always qualify your leads at every stage, and ensure your sales team is doing the same. During any communication you have with them, be it via email or over the phone, make sure they are both interested in you and interesting to you. Continue speaking only to those leads who are a good fit for you and who have demonstrated engagement with your company. When sending out marketing or sales emails, include a couple of specific interest links and monitor who clicks on them. These clicks will indicate their areas of interest, and you can then use this information to your advantage. 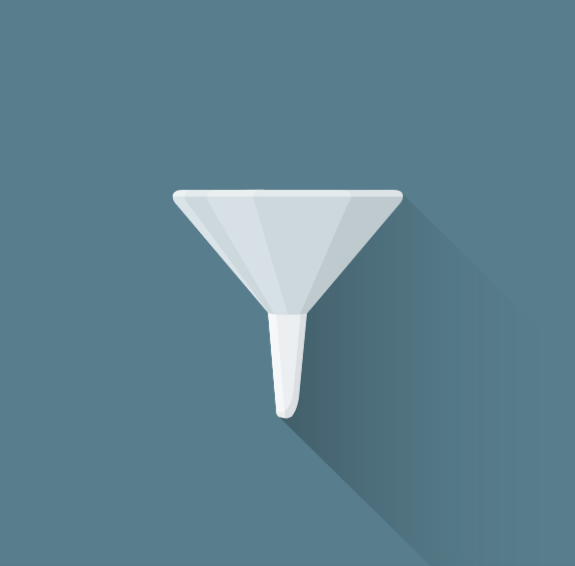 If an MQL or SQL isn’t ready to buy from you just yet, continue to nurture them to move them through the sales funnel. When they reach the decision-making stage, you'll still be impressing them with content and fresh in their mind. Connect with them via social media. Add them on LinkedIn and engage with them in LinkedIn Group discussions. Follow them on Twitter, and post comments on their blog. Follow their Facebook and or LinkedIn company page, then like and comment on their posts. Share relevant content with them. Encourage them to revisit your website by draw their attention to your blog with persona-targeted articles, invite them to join a webinar that will be of value for them or download an eBook on a topic they like. Keep a close eye on their engagement. Use a marketing automation product like HubSpot to track your website visitors, their interests and conversions. When you’re segmenting your contacts and planning communication with them, apply what you know about your prospects. The bottom line is to design your marketing and sales funnels according to how we as people behave online. Inbound marketing and technology clearly highlights your most interested prospects without you having to employ ‘interruption marketing’ tactics and strike up conversations with strangers in the hope they’ll want to hear what you have to say. Nurturing and qualifying inbound leads creates a win-win situation for everyone. The people who are not interested in your company and don’t want to hear from you, the people that are and want to know more and your colleagues and business as a whole.